Frequently asked questions have been divided into several categories, as listed below. If you have a question that is not answered here, please contact an adviser, and also suggest that your question be added to the FAQ! What can I do with a master’s degree in Computer Science? The computer industry is showing no sign of slowing down in the next decade. There are many avenues open to our graduates. There are jobs in consulting, data processing, management, programming, sales and marketing and system analysis. Companies that hire our graduates both locally and nation wide include: Intel, Compaq, IBM, First Data Resources, Union Pacific, Mutual of Omaha, and many others. My undergraduate degree was not in computer science. Do I have a chance of being admitted to your graduate program? If you have demonstrated potential in your undergraduate program we will consider your application. You may be admitted as a provisional student, and should take courses in the transition program before beginning the graduate study. I already have a bachelor’s degree in computer science. Is the master’s degree just a rehash of the undergraduate program? The undergraduate program in computer science is an important foundation for the master’s program. The graduate courses go into more depth and cover more topics than the undergraduate level courses. So if you have received a bachelor’s degree in computer science from UNOmaha or elsewhere, you will still have a lot to learn. How soon can I finish my graduate degree in computer science? How long it takes to complete the program depends on many factors, including the number of courses you are able to take at each semester, the satisfactory completion of prerequisites of courses, and so forth. In general, the transition program can be finished in three track-requirement semesters (which may include summer sessions). If you are a full-time student, you may be able to finish the core cores and three track courses in three semesters. You should allow at least two more semesters to finish additional courses, or the thesis/project (depending on the program you choose). If you are a part-time student, you may consider taking one or two courses per semester. The graduate college allows up to 10 years to complete your degree. Are the general GRE (Graduate Record Examination) or the subject GRE scores required for admission to the computer science master's program? The general GRE scores are required for admission to the program. You must submit an original score report (not a copy) that is less than five years old at the time your application is processed by the university. A subject GRE examination score is not required. You may, however, also submit such a score to augment your application (the general GRE scores are still required). Where may I check on the status of my application? The responsibility for admitting applicants rests with the UNO Dean for Graduate Studies. The computer science department will review your application and credentials and make an admission recommendation to the Dean. The Dean will notify each applicant of the admission decision. If you have not received official notification of your status, you may contact the graduate college at 402-554-2341. Admission status can also be checked online; you will need to enter your NUID or SSN and PIN selected on your application for admission. For international applicants, we recommend submitting your application two to three months earlier than the deadline. Normally it takes at least six weeks to process an application, as several departments are involved. International applications may take longer, particularly when there are a large number of applications to be processed at the same time. With whom do I talk about graduate advising? Feel free to consult with any of the professors in your field of interest; you can find a complete listing of the graduate faculty and their research interests here. For general questions about the program, consult with a graduate advisor. We recommend that you check with a graduate advisor prior to each semester’s registration to verify you are “on track”. How do I go about signing up for courses when MavLink will not let me in without authorization? To obtain authorization for computer science courses, email Graduate Advising and provide the name and number of the course, the section number of the course, and your student identification number. What is the transition program? How is it related to the degree program? The transition program is designed for those applicants who have demonstrated quality undergraduate work in academic disciplines other than computer science and have the potential of successfully pursuing a graduate degree in computer science at the master’s level. The program consists of a minimum number of required courses needed by any computer science professional. They are the necessary prerequisite for the computer science graduate degree program. Credits for these courses do not count toward the master’s degree. What courses are in the transition program? Although I have not had formal coursework in the transition courses reflected on my transcript, I have worked in computer-related jobs for several years. How do I get some or all of the transition courses waived? We very much value your experience. We believe, though, that taking the transition courses provides you with the assets you will need to proceed successfully through the graduate program. Courses in the transition program can be waived only when equivalent courses have been taken. Consult with the graduate advisor for answers to specific questions. What is the least amount of time required to get through the graduate program in computer science? The answer depends on how many courses you can take each semester. For example, if you have a full-time job, you probably can take one or two courses per semester. If that is the case, then five semesters are needed to complete the 30 credit hour program. Is there a particular order of courses to the program? Are there courses that I should take before others? If any transition courses are required, these must be completed prior to degree program courses. Next, give highest priority to completing the core courses, followed by the track courses. Be certain that prerequisites are completed before registering for each course. Once the transition courses are completed (if required), consult with your advisor and set up a plan of study. This is a document that indicates which courses you will take to complete your degree, and when you plan to take them. This allows the advisor to verify the courses and the sequence in which you plan to take them is acceptable, and allows you to know precisely what is required to complete your degree. The plan of study must be on file with the graduate advisor prior to your second semester in the degree program. What factors should I consider in preparing a plan of study? You should take all the core courses and three courses from a track. Depending on which program you select (thesis, project, or coursework), you may need to take some additional courses. At least one-half the hours of non-thesis coursework on a plan of study should be in courses which are restricted to graduate students only (that is, their numbers end in “0”). How do I decide which degree program I should select (thesis, project, or coursework)? If you do not plan to pursue a doctoral degree in computer science, normally taking 36 credit hours of course work would be an appropriate choice (which allows you to take a wide range of courses). If you are interested in more academic work that would lead to a doctoral degree, then the thesis approach would be most appropriate. If you are interested in applying your knowledge to some practical applications, then the project option may be the best choice. I started a similar graduate program at another school. Will any of those hours transfer to the master’s degree in computer science at UNO? Up to one-third of the course work required for a graduate degree may be accepted from an accredited institution other than a unit of the University of Nebraska when the transfer is supported by your advisor and the graduate program committee. Final approval will be made by the UNO Dean for Graduate Studies. Grades received in courses for transfer of credit must be the equivalent of “B” or higher. Consult the graduate catalog for further requirements. What is the difference between a thesis and a project? A thesis is a research effort that should make some theoretical contribution to the discipline. For example, proposing and implementing a new algorithm or revising an existing algorithm to improve its efficiency might be an appropriate research area. The results of the research are documented in writing and defended in a formal oral presentation of the work. A project is more application-oriented. It might consist of an implementation of existing methodology or algorithm for solving a practical problem. It focuses more on applying knowledge learned to real world scenarios than to the more-theoretical research effort required for a thesis. The work is documented in writing and defended in a manner similar to that required for a thesis. Are the courses always offered at night? Are there any courses offered during the day? Most of the courses in the graduate program are offered starting at or after 4:00 PM, Monday through Thursday, and meet two evenings each week (Monday and Wednesday, or Tuesday and Thursday). Usual course meeting times are 4:00 PM to 5:15 PM, 5:30 PM to 6:45 PM, and 7:00 PM to 8:15 PM. Graduate courses are occasionally offered during the day. The goal is to offer courses when they are most convenient for most students. Are the core courses and transition courses offered on a regular set schedule? Most of these courses are offered each semester, depending on demand. Are there scholarships available to graduate students? Yes. Consult the UNO Graduate Studies Office at 402-554-2341 and the Financial Aid Office at 402-554-2327 for information. There are a limited number of graduate assistantships available (competitive on a qualification basis) through the computer science department. You may apply for these positions by downloading the application form from the university web site, the IS&T college web site, or this web site. When an assistantship is available, only the applications submitted in the previous and current semesters will be evaluated. Therefore, if you do not have an assistantship and are still interested, you will need to update and submit your application for the current semester. The department does not provide assistantships for international students during their first semester. What are the primary duties associated with a college or department assistantship? Teaching courses or leading discussion sections at the undergraduate level. Instructing or supervising undergraduate laboratory or tutorial sections. Grading or otherwise evaluating the performance of undergraduate students. Preparing materials for laboratories or classroom presentation. In general, other duties which involve a direct knowledge and application of knowledge related to the student’s field of study would be acceptable. Graduate assistants should not be utilized solely for clerical duties. For whom are the graduate certificates intended? Graduate certificates are intended for both part-time and full-time NU students seeking graduate degrees, and for business and information technology professionals seeking to expand their knowledge and skills in a focused area. What are the benefits of obtaining a graduate certificate? The certificates will enhance skill sets, provide exposure to new information technologies, theories and practices, allow individuals to work towards various professional certifications, increase growth potential with employers, and increase prospects of obtaining a graduate degree. The certificate will offer existing technical and managerial professionals the chance to improve and hone their technical skills to aide in their professional development. Will the course work completed towards the graduate certificate apply towards the master’s degree in computer science? The short answer is yes; all graduate level course work (that is, courses numbered 8000 and above) may be applied towards completion of a master’s program in computer science. 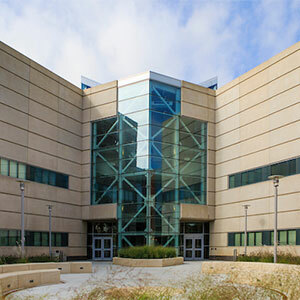 However, you must apply for admission to the master’s program in computer science and be admitted; admission requirements are described here. What is the cost of taking courses for the graduate certificate? The university cashiering office can provide information on the latest tuition and fees. Who issues the graduate certificates? The graduate certificates are issued under the authority of the University of Nebraska Graduate College. May I enroll in more than one graduate certificate program? Yes, you may concurrently enroll in more than one certificate program. You must naturally be aware of the course offering schedules to ensure that you can take the necessary courses in a reasonable period of time. Do certificate programs include only graduate-only courses? Yes. Each certificate program must follow the course requirements of that program. However, if you have completed a cross-listed course (that is, a course that has both undergraduate and graduate students in the same class) in a certificate as a part of the computer science major then you can obtain a waiver for that course. You still need to complete the required number of credits by completing the other courses in the program. Which undergraduate majors are acceptable for computer science certificate programs? For example, suppose I have an undergraduate degree in mathematics. For which computer science certificates am I eligible? If you have an undergraduate degree with a GPA 3.0 then you are eligible to apply to any of the certificate programs. To be accepted, however, you must meet all of the prerequisites of the selected program.